The ImuPro Concept focuses on the idea of a rotation diet. What this means is keeping a varied diet (essentially, ‘rotating’ your allowed foods) so that you’re not eating the same products every single day, thus not giving your body a chance to develop IgG antibodies and minimizing the risk of a new IgG allergy developing. 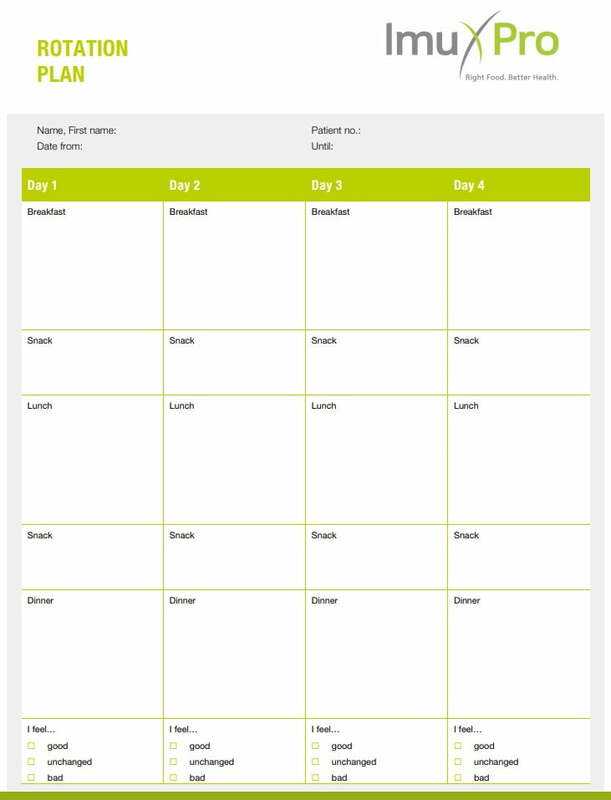 Here we have provided examples of a rotation plan to help you plan your ImuPro diet change. All the foods you are allowed to eat can be used to create your individual diet in a four-day cycle. If you eat a certain selection of foods on the first day, you should avoid eating these for the next three days. This helps your body to heal from current IgG food allergies while reducing the possibility of forming new ones. It also ensures that you get all the vitamins and minerals you would expect from a varied diet. Rotating these new groups of foods means that the selection you eat today should be avoided for the next three days. This means you may have less variety in one day but more variety over the week. Similar foods could be included for lunch and supper over a day, raw or cooked. Use the rotation plan provided to help plan your meals in advance. Write down all ingredients that make up your snacks, drinks and meals. Note how you feel each day and monitor your weight. The important information recorded in the plan will help you if you have any problems during your change in diet (please see example below). If you make a mistake, don’t worry. An isolated incident won’t set you back too much. You may feel a bit worse for a couple of days but continue to avoid all suggested foods and you will get back to normal quickly. Drink plenty of water. It helps your circulation and to detoxify. You might like to incorporate some lemon and ginger into your water to help remove toxins. 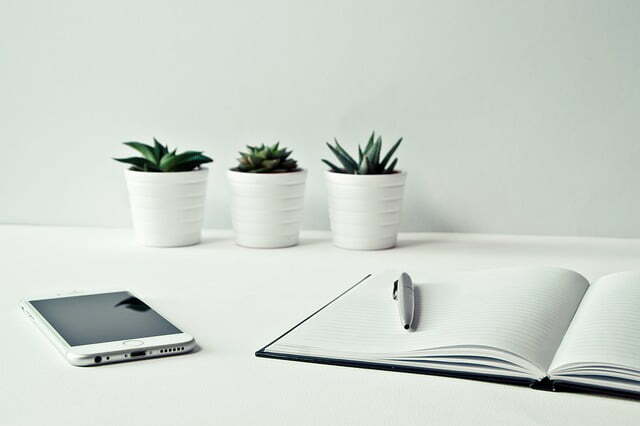 Note: A good way to monitor your new diet (in addition to keeping the rotation food diary) is to weigh yourself every day at the same time under the same conditions. An increase in body weight of approximately 1 kg or more overnight is a significant indicator of an inflammatory process. In this case you probably unknowingly ate a possible trigger food.